The UK Jewish Lobby is in a state of panic – the Holocaust Memorial Day boomerangs. If anything it turns the floodlight on the deeply problematic inclinations that are sadly inherent to Jewish political culture and collectivism. Last weekend it became clear that in the light of the crimes that are committed by the Jewish State in the name of the Jewish People, many Brits find it somehow difficult to genuinely empathise with Jewish suffering. If anything, it is the other way around, more and more people expect the Jews and their State to become more empathic. MP Ward had to issue an immediate apology following some relentless pressure mounted by the ‘ non existent’ Jewish Lobby. In short, MP Ward and the British public were also privileged to examine the ‘imaginary’ Lobby performing one of its power pirouettes, bringing an elected British politician on his knees. On Holocaust Memorial Day another shred of truth made it into The Times – a cartoon, by Gerald Scarfe, depicting Israeli PM Benjamin Netanyahu building a brick wall containing the blood and limbs of Palestinians, just as Britain was preparing itself to commemorate the Shoa. The notorious ultra Zionist Board of Deputies of British Jews was outraged. It insisted that the cartoon was “shockingly reminiscent of the blood libel imagery more usually found in parts of the virulently anti-Semitic Arab press”. Obviously it isn’t. The cartoon doesn’t refer to ‘the Jews’ or ‘The Jew’, it actually points at a specific brutal person who happens to be a war criminal as well as the Israeli PM. Moreover, the cartoon depicts the true reality of the Palestinians. I guess that the Board of Deputies must be convinced that Israel and its politicians are beyond criticism, exactly what you would expect from a Jewish supremacist organisation. As if this wasn’t enough, also on the Holocaust Memorial Day, The Independent reported that the Jewish State gave birth control to Ethiopian Jews without their consent. Israel isn’t just racist towards the Goyim, it is obviously White supremacist to the bone and discriminatory towards Black Jews. In the context of the Holocaust Memorial Day, the verdict is clear – the Israelis learned something in Auschwitz, but apparently not the most obvious ethical lesson. I guess that those British Jews who came to their senses probably realised by now that imposing a Holocaust Memorial Day on the British people was a grave mistake. However, I am delighted with this commemoration day. It is indeed a very special opportunity we should all cherish. Every year we will use this commemoration to remind Israel and its Lobby what we think of the Jewish State, its politics and its repellent operators in our midst. On 28 January 2013, Egyptian President Mohamed Mursi delivered the cities of Port Said, Ismailia, and Suez to the military establishment on a plate of gold. When the president declared a state of emergency, it signaled the army’s return to the political arena, its gateway: the Suez Canal cities. The media campaign against the Sinai can be deemed a success. News coverage caused residents of the Nile Valley to believe their region had transformed into Tora Bora. As such, justifications for deploying the military in its cities and streets were plentiful. The Suez Canal, which is much more significant than the northeast borders of Sinai, is considered an integral part of citizens’ livelihoods. It’s also one of the most militarized of Egypt’s non-border districts, with the army exerting tremendous control over civil life. For example, the military intelligence headquarters in Ismailia is a frequent stop of citizens in need of a variety of civil licenses. Furthermore, the canal’s district is home to the largest number of families whose members are officers and soldiers who settled in the area following the 1973 war. Mursi made a big mistake by declaring a state of emergency in the entire canal district for 30 days. This move will only assist the military in its plans, especially since Mursi gifted the military the governorate of Ismailia, the most populated and diverse in the canal. 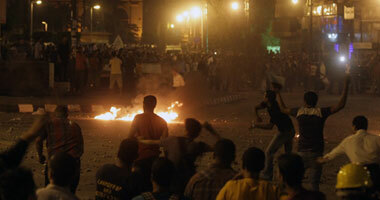 This was despite the fact that the city did not witness widespread clashes or street wars like in Suez and Port Said. From the view of military maps, Ismailia is a strategic point that links the two sides of the canal. With the military control of Ismailia, the Nile Valley would be separated from Sinai. The military is now practically in control of three regions in Egypt; the civil state has no sovereignty. Mursi’s move was a complex strategic mistake that might cost him his presidency or, at the very least, many of his powers. The military is now confronted with the challenge of bringing order to the streets of the canal and proving to the public that military rule is stronger and safer than Brotherhood rule. Theirs is a golden opportunity to promote their model on a wide scale in reply to peoples’ needs for security. The announcement of a state of emergency could be the beginning of the end of the Brotherhood rule in people’s hearts. The Europeans are, if anything, even more frustrated with Administration inaction. “One year ago a simple series of air strikes would have dealt a crippling blow to Assad,” says one European diplomat, who argues that a “no-fly zone” was not required to ground the Syrian air force. Even as recently as last fall’s political meetings in Doha and Marrakech, where the August 12 coalition representing 90% of the opposition was in attendance, bold US follow-up with, at least funding, could have tipped the balance in Syria, say these diplomats. Instead, now, the consensus is that the situation on the ground will continue to slowly deteriorate. “There is no end in sight,” says one US official. “Other than a failed state.” This, in turn, predict US analysts will lead to increased instability among Syria’s neighbors, particularly Lebanon and Jordan. So far, observers have considered it remarkable that both countries, especially Lebanon, have been relatively quiet. But another feature that concerns many analysts is the impact continued civil war will have on Iran and ultimately the one issue that could bring US military intervention, the development of an Iranian nuclear weapon. … As one analyst put it this week, “Syria is beginning to look like a good playing field for Iran.”… More important, say those involved in the Iranian “nuclear file,” will be the increased perception in Teheran that the US is not meant to be taken seriously. Already, key US officials admit privately that, in the words of one State Department insider, “The Iranians are toying with us.” They have not responded to a number of entreaties to resume talks with the P-5 + 1 [US, Britain, France, Germany, Russia and China]. Some analysts thought that they were waiting until after the US election and hoped that a meeting in Istanbul in January would take place. But January is gone and according to informed sources, Istanbul is no longer a likely venue. US and European officials are encouraged by the success of economic sanctions…. Iran may be the most “existential” threat to Israel, but it is not the only one that keeps its strategic planners busy. For that matter, their most important concerns, the safety of chemical weapons in Syria, stability in Jordan and the unfolding political crisis in Egypt are also shared by US officials. Egyptian President Morsi’s widely viewed “overreach” has resulted, says one US official in leaving a set of `checks and balances’ in the hands of people on the street. While Morsi continues with his plans to visit Paris and Berlin, European governments are less than eager to help his country’s faltering economy. While Qatar has chipped in several billion dollars in grants and loans, Saudi Arabia has failed to follow suit and, in any event, an internationally-led effort of much greater magnitude and discipline is necessary. Meanwhile, Egypt’s control of the Sinai weakens daily and the burden place on the Israel-Egyptian peace treaty – the cornerstone of US Middle East policy – nears the breaking point, say some State Department experts. "Sure, very sure, very very sure about that!" “… RT: And what about Al Nusra group from Iraq? Are these people fighting for freedom and democracy as well? GS: They are fighting for freedom and democracy, but maybe we will face some problem with them. Anyway, they are a small part of the revolution in Syria. RT: So you are absolutely sure that you’ll be able to control them, these peopleGS: Sure, very sure, very sure about that. Though Sabra claims that extremists make up only a small number of the rebels and are easy to contain, historian Gerald Horne does not agree, and argued that a similar scenario played out in Libya. Filed under: Al Qaeda, Nusra Front, War on Syria |	Comments Off on "Sure, very sure, very very sure about that!" It seems the enemy admitted that Adaisseh was confiscated by the occupation – with the collusion of the UN – when the Blue Line was demarcated following the liberation of South Lebanon in 2000. This is the land where Israeli bulldozers uprooted what became known as the “Adaisseh tree.” That incident in the summer of 2010 led to a battle between the Lebanese army and its Israeli counterpart where soldiers Abdullah Tufaili and Robert al-Ashi, and Al-Akhbar’s correspondent Assaf Abu Rahhal were killed by Israeli fire. The Lebanese state should raise the issue of occupied lands and reiterate the points of reservation during the drawing of the Blue Line, especially following this latest Israeli admission. This the least of what is expected of the state. All the while, Israel, which today admits that the land where its soldiers are deployed belongs to Lebanon, recently protested at the UN a plot of flowers adjacent to the army point where the Adaisseh operation was launched, claiming it falls inside the Blue Line. Adaisseh mayor Khalil Rammal took us on a long tour of occupied lands and the Blue Line. From the borders at Hounin and Markaba in the south, to Kfar Kila northwards, the enemy has stolen around 2,500 dunams (1 dunam = 1,000 square meters) of property since before the 1948 nakba in Palestine. The mayor says that every time a demarcation was made, the town lost more of its land, beginning with the demarcation based on the the Sykes-Picot agreement in 1920, to the international demarcation of the borders between Lebanon and Occupied Palestine in the armistice agreement in 1949, and finally during the drawing of the Blue Line in 2000. Rammal recounts the history of settlements since 1908, when the wooden settlement of Kfar Giladi was set up at the Adaisseh borders near the point now occupied by the Indonesian contingency of the UNIFIL. Misgav-Am was set up in 1945 on a hill called al-Tayyara. Later, a military road was built and more land appropriated between al-Thughra and Abl al-Qamh and into Khalleh, Arabsalim, Dabsh al-Awjeh, al-Marj al-Faouqani, and Mussaisah, up until the 1978 Israeli invasion. Rammal mentions that his father, who was mayor then, went to the governor of South Lebanon, Halim Fayyad, to complain about Israeli violations of Adaisseh, including tens of dunams with title deeds. Rammal says that the occupied territories amount to 2,000 dunams taken in 1948 and a further 1,200 in 1948. As for the Blue Line, Rammal maintains that the demarcation committee ignored Adaisseh and did not ask for the statement of the mayor or the inhabitants. In this respect, a security source indicates that the borders at Adaisseh and Shebaa Farms are under reservation by the Lebanese government, which rejected the demarcation proposed by the enemy and UN Envoy Terje Roed-Larsen. He maintained that they were sovereign Lebanese territories. 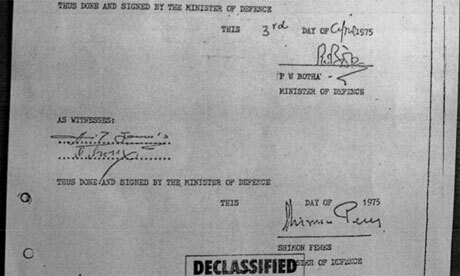 What can owners of lands that Israel admitted to be Lebanese do? Rammal says that the mission of the Lebanese government today should be to ask the UN to return the land, especially since the foreign ministry had requested from landowners, following liberation, to provide it with the deeds to send to the UN. But the owners were never informed officially of the status of the dossier. One of them is Salim Hassoun, who inherited 15,000 dunams of land from his father, Abdul-Rahman Hassoun, who had in turn inherited it from his own father. The grandfather had bought the land from Shaker Said through a deed registered at the Marjayoun Department in 1953. Hassoun says that the barbed wire and the Blue Line cut off his land, whose deed indicates the borders with Palestine. Based on this, he will be using the Israeli admission to file a complaint against Israel to return his land, either to the UN or to Israeli courts. However, informed sources say that Israel would never abandon the Misgav-Am hill. It’s one of the tallest along the southern border and Israel has installed long-range surveillance cameras looking into Lebanon and five military posts. It should be noted that many of the lands liberated in 2000 are still not free of UNIFIL and Lebanese army roadblocks. These are agricultural lands whose owners have been prohibited from visiting since 1968 due to security concerns and the presence of mines – even though demining operations were completed three years ago.